Bariatrics is the branch of medicine dealing with the study of obesity, the causes, prevention and treatment of obesity. The Greek word Baro means heavy or large. Diet, exercise, anti-obesity drugs, behavioural therapy are first line treatments of obesity, but success is limited in people with severe obesity. 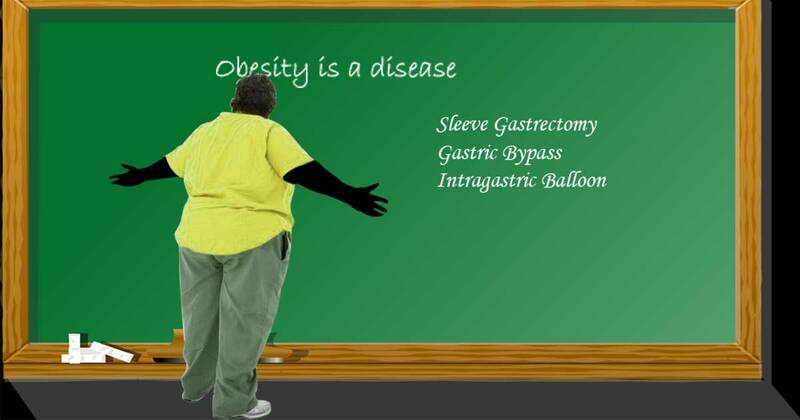 Bariatric Surgery or Weight Loss Surgery is considered in people strugglig with severe obesity. Obesity is a medical condition. Obesity occurs due to excess body fat accumulated in the body and is considered a serious medical condition due to the adverse health effect obesity has on the body. Obesity has many detrimental health effects on the body. Medical issues include cardiovascular dieseases, diabetes mellitus, OSA or obstructive sleep apnea, asthma, etc.. Diet and excercise, behaviour therapy, and anti-obesity drugs are the first-line treatments for obesity and overweight. But for severe obesity this has limited success and long term success is very poor. Weight loss surgery or bariatric surgery results in greater weight loss than these conventional treatments. Weight loss surgery aids in improving the quality of life and brings improvement in obesity related diseases such as diabetes mellitus, hypertension, etc. Laparoscopic Sleeve Gastrectomy is a surgical procedure for weight loss. Sleeve gastrectomy is also known as a vertical sleeve gastrectomy or gastric sleeve procedure. In this procedure, the outer margin of the stomach is removed to restrict the amount of intake of food leaving the size of the stomach to about 15% of the original size of the stomach. Gastric Bypass is a surgical weight loss procedure for treatment of morbid obesity. In this procedure the stomach is divided into a small upper pouch and a large lower pouch. The small intestine is then reattached to the pouch that creates a bypass for food, which results in absorption of less calories and nutrients. Intragastric Balloon Non-surgical Procedure for Weight Loss. This procedure involves using an endoscope to place a deflated balloon in the stomach. The balloon is then inflated to decrease the amount of intragastric space. The balloon is then left in the stomach for a period upto 6 months. Due to the restricted amount of food intake there is an average weight loss of 10-15 kg. This is highly effective in overweight people not classified as obese.